You can leave comments by clicking here, leave a trackback at http://supervillainous.spiderforest.com/comic/not-so-fatal-flaw/trackback/ or subscibe to the RSS Comments Feed for this post. With Siri under a super villain’s control, I’m so glad I don’t have an IPhone. Oh, heck no. Super Villain, remember. Nothing like treacherous seconds to get you street cred….. 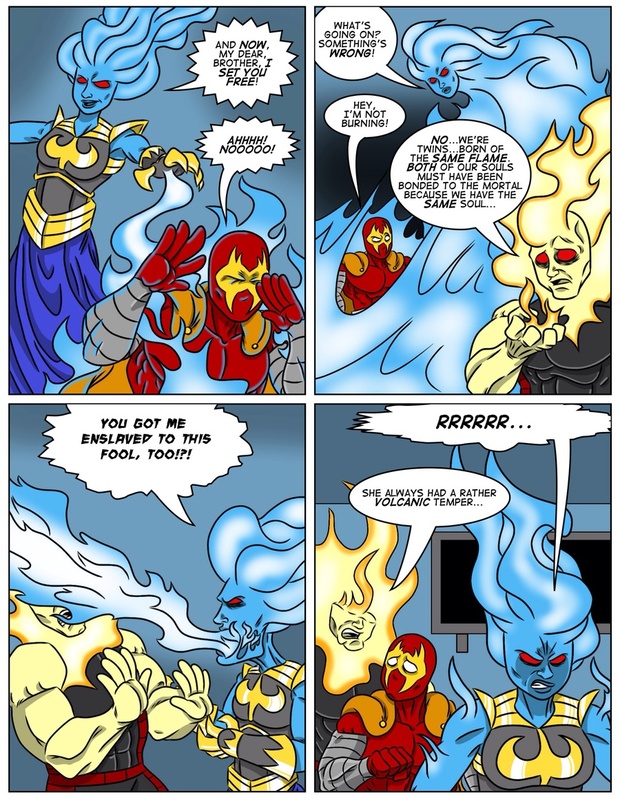 If you’ve read ‘Cortland’ (http://www.cortlandcomic.com/index.php?pageID=1) you’d know Siri was always under a supervillain’s control! But I gotta say how I love how CC’s ‘family’ keeps getting bigger! He has a better suppoorting cast than many heroes! Also, he controls Siri now? Okay, he’s definitely adopting the Paralegal now, because he got him TWO POWERFUL DEMONS ENSLAVED TO HIS WILL. BEST GIFT EVER.